The third edition of the handbook has been thoroughly revised and expanded to include the most recent research from CCL and its best thinking in the field of leadership development. This important resource includes new chapters on leadership in teams, global leadership, and leading through transitions. 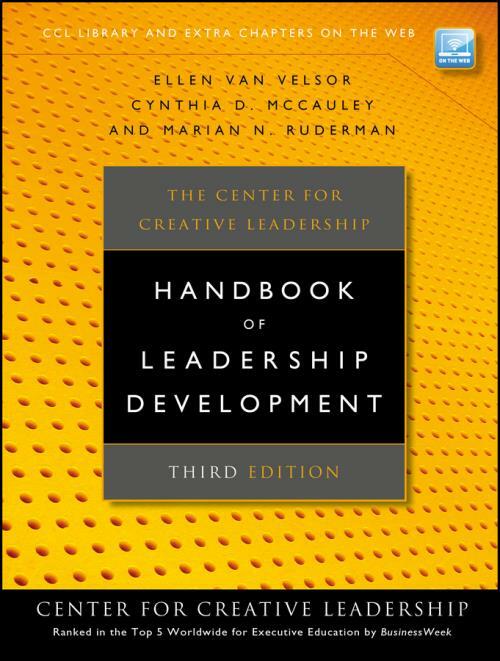 The Center for Creative Leadership Handbook of Leadership Development is an indispensable resource from the most prestigious organization in the field, written for anyone interested in creating developmental experiences and designing leadership development processes and systems.